The app you choose to track your finances can have a huge impact on the smooth running of your business. But with so many different options now available, which is the best option if you are a small business owner looking to make your life easier and cut down on the time spent on some of your administrative and financial tasks? We’ve taken a detailed look at one of the most popular solutions, FreshBooks, to see how it compares with Billdu and other leading apps/software solutions so you can make an informed decision about which product is right for you. FreshBooks is a software package aimed mainly at small businesses. It is a cloud-based solution so it can be accessed from any browser. It also comes with apps for iOS and Android so you can use it from your smartphone. Any actions you take on your phone are fully integrated with the system in the cloud. The FreshBooks cloud accounting system is designed to make the financial and administrative aspects of running a business easier and more efficient, saving you time and automating some of the most mundane tasks you have to undertake on a regular basis. The Fresh Books software makes it easy to create a professional-looking invoice and customize it to reflect your brand. You can do this from anywhere with the mobile apps; you are not restricted to only sending invoices from the office. FreshBooks can also automatically calculate the taxes on your invoice, enable you to send invoices in a wide variety of different currencies, and also track them so you can instantly see when they have been viewed and paid. The system enables you to see all your spending and profits at a glance without needing to go through individual receipts or spreadsheets. This is done via clever FreshBooks integrations with your bank account or credit card. It also contains a feature which enables you to take a photograph of a receipt on your phone and log it. The software will organize it into the system for you. Your expenses are updated daily, making it easy for you to keep track of your spending on a specific project or for the whole of your business. This is a useful feature as your time costs money. It is essential to know how much time you are spending on a particular project or client. You can start and stop the timer as required and it gives you a time log, which can then be put onto an invoice. This can be done from anywhere via the FreshBooks apps so if you are working away from the office, you can still track your time. This timer is particularly useful because it is easy to create different categories and see at a glance how much time you are spending on each project. Fresh Books makes collaboration easy as it offers centralized storage, making it quick and simple for all team members to find the documents they need and share their thoughts and activities with each other. Permissions can be set so that only those working on a project have access to it. You can also include clients on projects, making it easier for them to give feedback at every stage of the process and ensuring everything stays on track. The FreshBooks software enables you to create and customize estimates and proposals quickly and easily, listing elements such as scope, timeline and cost. The client can approve this with a single click so work on the project can begin quickly. Estimates can also be transformed into invoices almost instantly so you can get paid sooner. Like your invoices, your estimates can also be tracked so you can see when they have been viewed and accepted. They can be sent from anywhere via the FreshBooks apps. FreshBooks payments offer your clients an easy way to pay invoices: by clicking a button on the invoice itself. The software automatically registers each payment as it comes into your account so your books are always balanced. You can also choose which account you want payments deposited into. Offering your clients this level of convenience ensures you will get paid more quickly for the work you do. Fresh Books also includes a number of tools to make reporting easier, offering you the insights you need into the progress of your business and helping you to keep your books balanced. It also enables you to share these reports with your accountant, making sure everything is exactly where you need it when it comes time to send in your tax returns. How does FreshBooks compare to Billdu? Billdu is a new and highly streamlined system that offers essential ease and convenience to small businesses at highly affordable prices. Like FreshBooks, it is a cloud-based system that can be accessed from any PC, and it also comes with mobile apps for both Android and iOS. Billdu’s main purpose is to make it easier to invoice your clients and track your expenses, which are the most essential things any small business needs. It has an extremely user-friendly interface, with a more modern design than FreshBooks. It is more intuitive on all devices. Customizing your invoices is easier with Billdu than it is with Fresh Books, giving you more options when it comes to design. 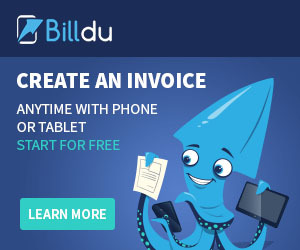 Billdu ultimately offers better value as it has all the same features as FreshBooks except for time tracking and reports. However, given the significantly lower cost and increased ease of use, Billdu is an ideal choice for many small businesses who can’t afford expensive solutions. It also gives you more control over which features you want to include as the three different plans available differ far more than those offered by the FreshBooks pricing model. We have already done a comparison between Billdu and QuickBooks in a previous article so we thought a direct comparison of QuickBooks vs FreshBooks would be more useful here. Quick Books is the market leader and it is widely used by businesses in all industries worldwide. However, is it necessarily the best solution for your small business? 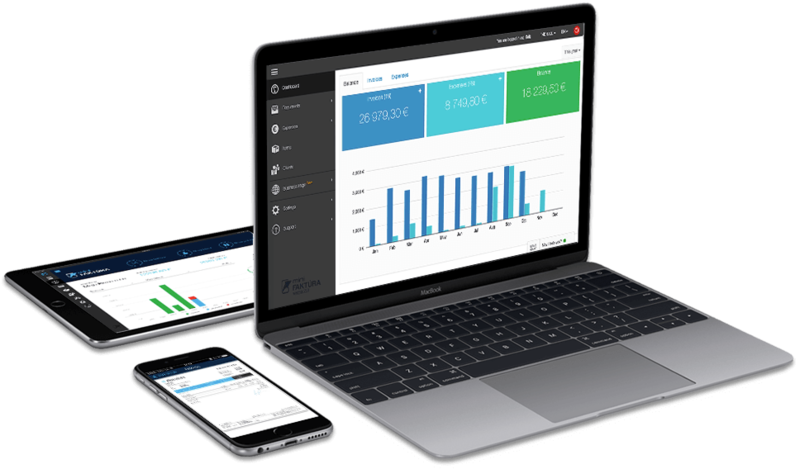 QuickBooks, like the other two systems, is cloud-based and comes with mobile apps for iOS and Android. However, if you want to customize your invoices, this can only be done from the software version, not from the mobile apps. FreshBooks and Billdu have the advantage here. In addition, while QuickBooks does offer a time tracking tool, it is not as sophisticated as the one offered by Fresh Books, which is unexpected from the market leader. However, reporting in QuickBooks is far more advanced than it is in FreshBooks. QuickBooks offers a much more extensive range of reporting options, and the information is presented in a way which makes it much easier for you and your accountant to understand. It also features a chart of accounts, which is extremely useful if your business has more than one bank account and credit card. If your business is expanding rapidly, QuickBooks also has the advantage here. It allows you unlimited clients, while in FreshBooks you are restricted to 500. This means the right system to choose will depend entirely on the needs of your business. You can’t get any version of FreshBooks free. Like Billdu and QuickBooks, FreshBooks pricing comes in three different levels to suit your needs. We have compared the monthly cost of all three so you can see exactly what you get for your money. The Starter package from Billdu is very basic, coming with just the invoicing and expense tracking features. However, the Standard package is extremely good as it comes with all but two of the features available in Premium. The main difference between the two is that the Premium package offers you larger numbers of users and invoices. The Lite version of FreshBooks offers more features than the Billdu Starter package but at a vastly increased cost. In addition, if you want to add more users, you have to pay an extra $10 per person, even with the Premium package. As your team expands, this can end up costing you a lot. QuickBooks is the most expensive of the three systems, and it has a particularly complex pricing structure. It is difficult to see, even on their website, which features come as standard and which you have to pay extra for as you can pay for different combinations of features and numbers of users. This complicated structure is a disadvantage as small business owners want a quick and convenient solution that will not take too much time to set up. There is no ‘best’ app – choosing the right app for you will depend on what your business does, how many invoices you send, how many staff you have on your team, and a wide variety of other factors. It is important to do your research before making such an important purchase decision, and we hope this article has helped. If you would like more information about Billdu and the many features it offers, please check out the Features page on our website. Looking for an invoicing app, quote maker app & expense tracker similar to FreshBooks? If you were thinking of FreshBooks, try Billdu today to start creating professional invoices and tracking your expenses via our user-friendly online dashboard and mobile apps. Register for a free trial now!. Billdu vs QuickBooks: Which tool is better for you?